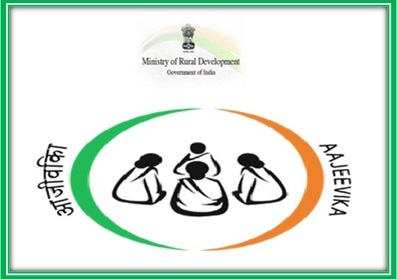 For developing the state of the rural economy and to assist the women of the villages, with alternate source of earning money through the Self Help Groups, the central government has designed a unique program that will provide the needy with monetary assistance. The name of the scheme is Aajeevika Grameen Express Yojana but it is popularly known as AGEY. Providing money for women SHGs – The main aim of the scheme is to provide financial assistance to the women who are associated with the Self Help Groups. They can use the money to purchase vehicles. No interest on the loan amount – For assisting the women who are associated with the SHGs, the government has decided that no interest will be charged on the loan amount that has been given to the SHGs. Tenure of the loan – The guidelines of the scheme suggest that the women of the SHGs will be provided with loans for developing their condition. The money can be used for purchasing vehicles and providing alternative sources of livelihood for the SHGs. The Tenure of the loan is three years. Types of vehicles to be bought – As per the draft of the scheme, it has been highlighted that the credit that will be granted to the women of the SHGs, will be utilized for purchasing e-riksha, 4 wheelers or 3 wheeler. Developing the economy of the rural areas – Each feature of the scheme has been so designed that it can improve the overall economy of the villages, especially the women and members of the SHGs. Capacity building – Another aspect of the program is that it will work towards the building of capacity. This will be done by State Rural Livelihood Mission for their staff members at District, Block and State levels. Responsibility of the state – Once the program is in motions, any accident or damage that takes place to the vehicles, purchased under the scheme, will be responsibility of the state government or the State Rural Livelihood Mission department. Only the members of the rural Self Help Groups will be allowed to take part in the scheme and get the financial grant for purchasing the vehicles. The people who are residing in the backward and rural areas, and are associated with one or more SHGs, will be eligible to enroll under the scheme. Special reservations are kept for women. Aadhar card of the creditor – Producing the Aadhar card of the women, who want to opt for the loan, is a must. The code will assist in verification of the ID and residential details of the candidate. Papers of SHG – It is compulsory for the women to be members of any registered rural Self Help Group. Thus, they will have to produce the papers that will support the claims of the candidate. For judging the success of the yojana, the central government has decided that though the implementation of the scheme will be done in all parts of the country, but the real task will be carried out in selected 250 blocks. Andhra Pradesh, Maharashtra, Jharkhand, Tamil Nadu, Uttarakhand, Telangana, and West Bengal are the 8 selected states, which will see the implementation of the program first. The 8 selected states have already given the estimate that the total cost of the preliminary implementation will be Rs. 16.06 crores. The central government will provide Rs.10.16 crore. The rest of the money will be provided by the state government. According to sourced, Rs. 1815 has already been allotted to 3.96 lakh SHGs and Rs. 1088 crore will be used for the revolving of funds by distributing it to 7.28 lakh SHGs so far for the time being.